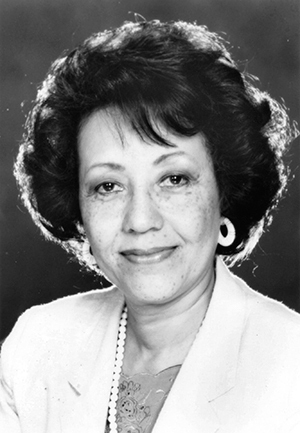 Leatrice McKissack never intended to take over her husband’s celebrated family business. William DeBerry McKissack was the CEO of the construction and architecture firm based in Nashville in the 1980s. “Lea” was perfectly happy being a housewife. But in 1983 — the same week their twin daughters, Cheryl and Deryl, were to graduate from his alma mater, Howard University — her husband had a debilitating stroke. 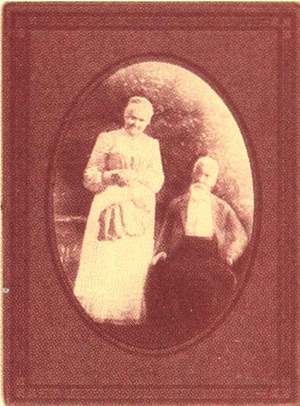 Leatrice, already in Washington, D.C., for the festivities, rushed home to be at his side. When she arrived, she realized she had to make a decision: Would she take over McKissack & McKissack, or sell? And indeed, Cheryl and Deryl, now 56, are both continuing the McKissack name in the construction industry. Cheryl now is CEO of McKissack & McKissack. Deryl, meanwhile, is the president and CEO of her own architectural and construction management firm, also named McKissack & McKissack, based in Washington, D.C. Cheryl and Deryl’s older sister, Andrea, 63, is a retired engineer. But Leatrice’s success story isn’t just about keeping the business going. She had to steward her husband’s family’s legacy, as old and rich as the country itself — and do so in an industry dominated by men. 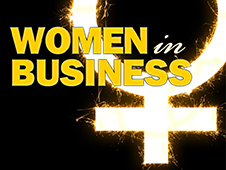 Before she retired from the business in 2000, Leatrice’s honors would include being named National Female Entrepreneur of the Year by President George H.W. Bush in 1990 and receiving the Presidential Design Award from President Bill Clinton in 1994. William DeBerry McKissack (known as DeBerry) represented the second generation to run the company as it’s known today. Its roots can be traced back five generations to a former slave named Moses, who was brought to the United States from West Africa just before the turn of the 18th century. He took on his slave owner’s last name, McKissack. The McKissack family’s records indicate that the slave owner, also named William McKissack, taught Moses how to make bricks. After he gave Moses his freedom, Moses was able to sell his bricks. Moses’ son, Moses II, took his father’s trade a step further, becoming a master carpenter. He built spiral staircases and made the gingerbread finishes on the Maxwell House Hotel in Nashville. Moses III and his brother Calvin McKissack formalized McKissack & McKissack into a construction firm in 1905. In 1922, the men were the first African Americans granted permission to take the exam for certification as architects in Tennessee; they had completed an MIT correspondence course in architecture. They were later licensed in 22 additional states. Highlights of the firm’s early projects include the Carnegie Library at Fisk University in Nashville; Pearl High School (and two subsequent expansions), also in Nashville; and a $5.7 million federal contract in 1942 to design and build the Tuskegee Airfield. DeBerry, who was Moses III’s youngest son, was the only family member in the next generation to join the firm. Moses III died in 1952, and DeBerry took over as CEO when his uncle passed in 1968. With such a rich history, Leatrice felt the pressure when she took the reins. On her first day in the office, Leatrice called a meeting of the private company’s board. The directors, who owned shares, wanted her to take one of the many offers on the table. They had no faith in her taking over the business. “She’s a strong person, a strong personality,” Cheryl adds. That strength is probably what gave Leatrice the guts to move forward, having the majority of the shares in the business. The daughters cheered Leatrice on as she stepped up to lead. Cheryl says she saw the challenges her mother faced but never considered them a barrier. Cheryl graduated with a degree in civil engineering, opting to continue for a master’s degree. Deryl had a bachelor’s in structural engineering and went straight to work. Both women helped their mother when they could as she got on her feet at McKissack & McKissack. McKissack & McKissack had millions of dollars in projects in progress when DeBerry had his stroke. While construction and design work went on, Leatrice took a deep dive into the day-to-day office operations and financials. She did not like what she saw. First, there was the resistance to her as a woman. She says one vice president threw a stack of papers at her during an argument. “Don’t think I didn’t fire him on the spot,” Leatrice says. She also caught a receptionist passing on projects for architects to complete off the firm’s books. Then there were the hundreds of thousands of dollars of completed work she found in a filing cabinet that hadn’t been invoiced at all. It was obvious, Leatrice says, that these behaviors had started before her husband’s illness, but it was also obvious much of the staff resented her presence. “I ended up firing all of the employees except two — and they were both women,” she says. But before the work, she needed architects to replace the ones she had fired. She found a licensed firm in Memphis, bought it and moved it to the Nashville office. Leatrice says those early days centered on studying. “The only thing I knew about architecture and engineering was how to spell them,” she says. “Running the whole business was work from sun up to sundown.” At night she would bring a beer to bed and a stack of contracts to study. Her eldest daughter, Andrea, left her job running an engineering firm in Detroit to be in Nashville for three months to get Leatrice up to speed. Andrea did not stay in the family business long-term. Then she turned her attention to the construction arm of the company. She did some housecleaning there as well. After about a year and a half, she could finally move on with new business, working in Mississippi, Tennessee and Alabama. While DeBerry would never make it back to the business, he survived the stroke, and Leatrice would sometimes take him into the office. But taking care of him while managing the business took a toll. When DeBerry returned he was a new man — and in need of a car. He had relearned how to drive in D.C. and wanted freedom. Every morning he would leave to have breakfast with friends. Once he was gone for three days — he returned with tickets from gambling on dog races in Arkansas and a big smile, Leatrice says. In 1988, the family decided to skip their Christmas holiday to instead to be together when Howard University’s president honored DeBerry as an outstanding architect. Having seen his daughters once more, DeBerry died at the hotel the week of the award. After his death, Leatrice stayed at the helm of the company for another 12 years. She says her favorite project was the National Civil Rights Museum in Memphis. McKissack & McKissack designed the museum that was built adjacent to the Lorraine Motel, where Rev. Martin Luther King Jr. was assassinated in 1968. It wasn’t an easy project and she says she didn’t profit from it (in fact, “It cost me a lot of money”), but it was important to her to memorialize King, a man whose hand she had once walked across an Atlanta airport to shake. The dedication included such luminaries as Bishop Desmond Tutu. 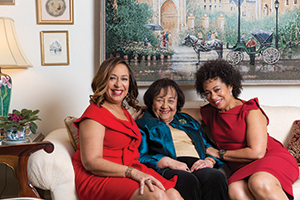 Though all three of her daughters helped Leatrice transition into the business, it was Cheryl who found herself flying back to Nashville from New York City weekly to help her mother with the workload, including a $50 million contract in D.C. in the late 1980s. 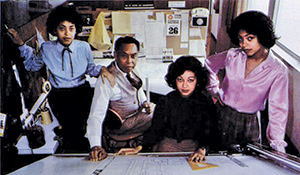 As a result of the ongoing work for the family firm, Cheryl opened an office of McKissack & McKissack closer to her home in New York City in 1990. From there she grew the business, which now focuses on construction management and has left architecture behind. Meanwhile, in Washington, D.C., Deryl McKissack opened her own company, named McKissack & McKissack of Washington, in 1990. While she also worked in construction management, Deryl’s business is strong in architecture as well, as the original family company had been. In 2000, Cheryl called her mother and asked how she was. Though Leatrice said she was fine, her daughter didn’t believe her. “I said, ‘Honey, I’m so tired of these engineers and architects fighting. The engineers think they know more than the architects, and the architects all want to be Frank Lloyd Wright,” says Leatrice. “She said, ‘Put in your briefcase the things you can’t live without, and I’m going to come down and close that office.’ I floated home.” Cheryl dissolved the original business, paid out the shareholders and closed the offices in the South. Cheryl re-established McKissack & McKissack as the sole owner. Since taking the reins of the company, she has worked on projects including Columbia University’s Manhattanville campus and the Barclays Center in Brooklyn, home to the Brooklyn Nets and New York Islanders. While working on the modernization of Harlem Hospital in 2005, McKissack & McKissack focused on helping the surrounding communities. Cheryl says for that project alone, there were 7,000 local residents who wanted jobs. The company established a permanent Office of Community Employment in Harlem in 2012 to connect residents with construction-related jobs. Currently, the firm’s long-term projects include managing the Manhattan Transportation Authority capital program and managing all design and construction initiatives for the School District of Philadelphia. Cheryl says she has a $500 million backlog of projects for the next five years. “We’re in a very good space,” says Cheryl, who serves as CEO. In March 2017, McKissack & McKissack hired its first-ever non-family president, though he was released later in the year. There are no plans to replace him, Cheryl says. Leatrice chairs the advisory board of McKissack & McKis­sack, the company she once led. Cheryl, the CEO, formed the six-member board in 2010. “I did that because we were going to start some very risky work,” she says. “I wanted as much expertise as I could get. I wanted to grow through mergers and acquisitions. “As the owner and leader of the company, you’re really on an island by yourself and need a sounding board for bouncing off ideas. If I can’t convince them about a move, I won’t do it.” She says the board was also helpful in launching a specialty service called construction management at-risk. Deryl’s firm has opened offices in several cities, including Detroit, Miami and Los Angeles, while most of Cheryl’s work is in the New York region. Deryl’s base remains in D.C., where she lives with her family. It was there that she landed her first major contract, renovating the Treasury building after a fire in 1996. Several of Deryl’s many projects reflect the history of her family and its business. 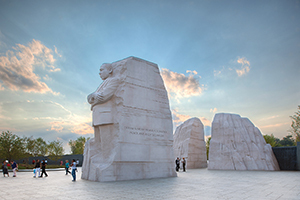 Just as McKissack & McKissack designed the National Civil Rights Museum under Leatrice’s leadership, 20 years later Deryl’s firm was made the lead architect on the Martin Luther King Jr. Memorial in D.C. Later she managed the design and construction of the Smithsonian National Museum of African American History & Culture. She says when she walked through the museum for the first time after the exhibits were installed, she couldn’t help reflecting on her family’s history. Deryl says her firm is an outgrowth of the family business, even if it’s separate from her sister’s, and both firms celebrate milestone anniversaries, including McKissack & McKissack’s centennial in 2005. She says knowing her family’s history of being enslaved and seeing slavery through the lens of the museum was inspiring. Because the twins work in the same industry, operating under the same name but as two separate companies, one might conclude there is a family rift. The women insist there is not. Deryl says the original plan when they were in college was that the twins would work outside the family business for a while (which they did) and then bring their experience back to Nashville to work together at McKissack & McKissack. “But best-laid plans…,” she says. “People get married, divorced. Things just happen,” resulting in a change of plans. For example, she settled in D.C. while her sister settled in New York City, away from the original company’s roots in Nashville. The twins have fond memories of spending time with their dad. On Saturday mornings when they were young, for example, they had a weekly ritual that planted the seed for them to follow in DeBerry’s footsteps. “He would give us a set of documents and say, ‘I want you to trace all of this 12-story building, with details,” Cheryl recalls. After spending the morning at the office, the three of them would have lunch. DeBerry would take the girls to job sites, then shopping and home by 5 p.m. The family meets up on holidays. Last year it was Thanksgiving in Nashville and Christmas in D.C. Before parenting responsibilities got in the way, Andrea, Cheryl and Deryl, along with their mother, would meet up more often for “girl get-togethers.” Leatrice would fly them to different cities and they would talk — a lot. But they offer advice to each other only when asked. Cheryl says she would never stick her nose in her sister’s business without an invitation. She says they sit down and talk about their businesses together twice a year. The twins have subcontracted for each other occasionally, but generally they stick to the areas where they have offices. It doesn’t matter to Leatrice. She’s been able to watch all three of her daughters grow into their careers and see two of them take McKissack & McKissack into the 21st century in their own ways. “I’m so proud of them, I don’t know what to do,” she says. And as the twins’ children grow, the next generation may be preparing to pick up the mantle when their moms are ready. It looks as though Deryl’s daughter, Ahlyah, is ready to follow her mother into the architecture branch of the industry. The 13-year-old spent the summer hanging out with her mom at her office. Deryl says the teenager’s even designed a couple of houses without her mom’s help using design software. Cheryl’s daughters are also on track to take over the original McKissack & McKissack. Deryl, 23 — named for her aunt — graduated from George Washington University with a degree in organizational dynamics. Her sister, Leah, 22, is a freshman at Pratt University majoring in construction management. Cheryl says there will be a place for them at McKissack & McKissack, but it will take hard work.